Home » Could your child have a trauma instead of an ADHD diagnosis? This is a delicate subject and one that I don’t discuss lightly, but I feel it’s one that needs highlighting. I spent months researching before I wrote my book and one of the things that I came across with how trauma can sometimes manifest as ADHD, when it’s not true ADHD. Trauma in children doesn’t have to be as serious as we first imagine, sometimes the trauma to a child can be something that we don’t even realise could be affecting them. A house move, a school move, a grandparent dying or a parental break up. I shared all about this in my book and how expert Dr Nicole Brown felt that we are over-diagnosing children and not looking further into the family situation. Dr Brown talked about how neglect, abuse and family dysfunction in a family could be the cause of the diagnosis. She felt that a completely different approach was needed in this instance over an ADHD diagnosis and medication. 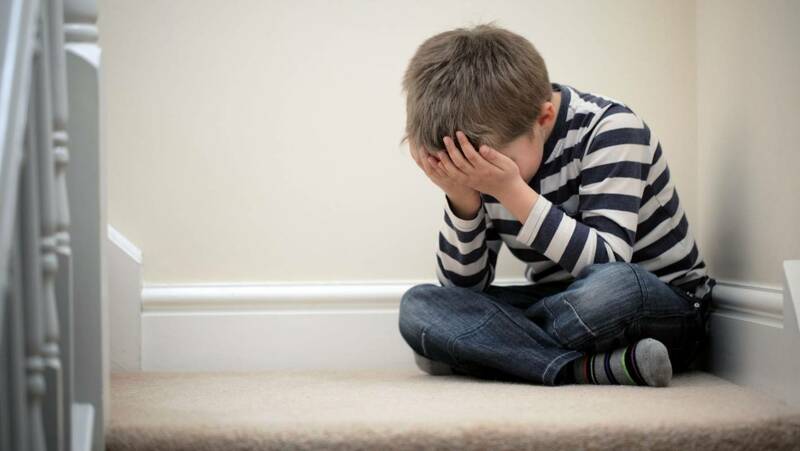 I was recently featured on the Natural ADHD Summit and one of the experts who interviewed discussed trauma in children being a misdiagnosis for ADHD. Sometimes as parents we can be so caught up with our own pain that we don’t have the space to see how it’s affecting our children. There are many instances that smaller traumas can happen to a child and we don’t even notice them. I share this message today, because this happened to us. Seren was only six years old when we left the UK to start a new life in Australia. I was told that kids were resilient, but I learned later that children can be a lot more affected than we realise. Seren had to deal with a new school, new friends, a new home and a mummy who was plunged into homesickness and isolation as soon as we set foot in Australia. When I look back now, I see a little girl who was traumatised and yet I didn’t see it. I was so consumed with parenting a baby, toddler and a very challenging six-year-old that I didn’t see the wood for the trees. Neither did the experts. No-one ever looked at our situation, they never asked me about my mental health. We never noticed that this little girl had just had everything she knew ripped from underneath her feet. Instead, she was diagnosed with ADHD, anxiety and oppositional defiance disorder. When I look back now, I honestly feel so sad that I missed this. I missed that she was going through trauma and instead of the diagnosis, she needed love. She needed more care and support from the school, she needed adults to understand her, but instead, she was diagnosed and medicated. This is just our story, but one I feel that needs to be shared. Trauma is not talked about enough. Teachers need more support and education on how to recognise this. Parents, especially mothers need more support for their wellbeing and mental health, and our children deserve more understanding. I’m not saying this is the case for every child, but I am sharing my story in the hope that it can help another parent. This week in my private Sisterhood membership I will be chatting with Pania Falconer who is a paediatric nurse. Pania recently working on a project around medical trauma in children. She has a wealth of knowledge on being a trauma-informed family and will be sharing her own experience with us after losing her dad and seeing the impact it had on her son. Pania will also be sharing what they did as a family to overcome the trauma and how they’ve supported their son to repair the damage. This is something that I wasn’t fully aware of until recently, but the more I research this topic, the more that I see it’s alot more common than we think. To join us in the sisterhood tomorrow as Pania and I chat all about this, along with anxiety in children and how we can support them.